The Legacy of Sándor Ferenczi, first published in 1993, was one of the first books to examine Ferenczi’s invaluable contributions to psychoanalysis and his continuing influence on contemporary clinicians and scholars. 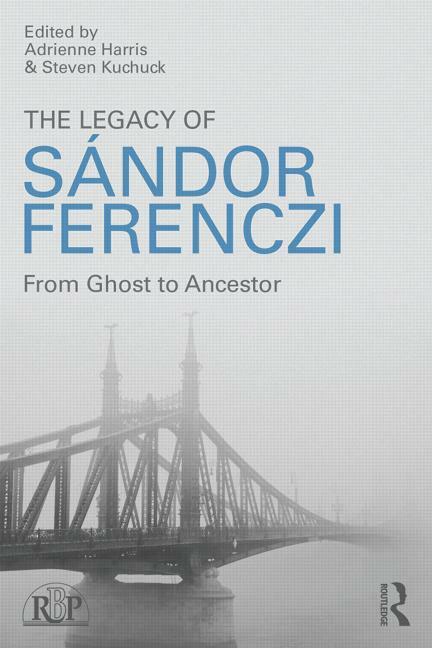 Building on that pioneering work, The Legacy of Sándor Ferenczi: From Ghost to Ancestor brings together leading international Ferenczi scholars to report on previously unavailable data about Ferenczi and his professional descendants. Many—including Sigmund Freud himself—considered Sándor Ferenczi to be Freud’s most gifted patient and protégé. For a large part of his career, Ferenczi was almost as well known, influential, and sought after as a psychoanalyst, teacher and lecturer as Freud himself. Later, irreconcilable differences between Freud, his followers and Ferenzi meant that many of his writings were withheld from translation or otherwise stifled, and he was accused of being mentally ill and shunned. In this book, Harris and Kuchuck explore how newly discovered historical and theoretical material has returned Ferenczi to a place of theoretical legitimacy and prominence. His work continues to influence both psychoanalytic theory and practice, and covers many major contemporary psychoanalytic topics such as process, metapsychology, character structure, trauma, sexuality, and social and progressive aspects of psychoanalytic work. Among other historical and scholarly contributions, this book demonstrates the direct link between Ferenczi’s pioneering work and subsequent psychoanalytic innovations. With rich clinical vignettes, newly unearthed historical data, and contemporary theoretical explorations, it will be of great interest and use to clinicians of all theoretical stripes, as well as scholars and historians. Adrienne Harris, Ph.D. (Coeditor) is faculty and supervisor, NYU Postdoctoral Program in Psychotherapy and Psychoanalysis, Faculty and Training Analyst at the Psychoanalytic Institute of Northern California, serves on the Editorial Boards of Psychoanalytic Dialogues, Studies in Gender and Sexuality, Psychoanalytic Perspectives and the Journal of the American Psychoanalytic Association. Coeditor, Routledge’s Relational Perspectives Book Series. Steven Kuchuck, LCSW (coeditor) is a faculty member, supervisor, Board member, and co-director of curriculum for the adult training program in psychoanalysis at the National Institute for the Psychotherapies and faculty, Stephen Mitchell Center for Relational Studies. Steven is Editor-in-Chief of Psychoanalytic Perspectives, and Associate Editor of Routledge’s Relational Perspectives Book Series. 7. Ferenczi’s Work on War Neuroses. 10. Ferenczi, the "Introjective Analyst"